Say the title out loud. 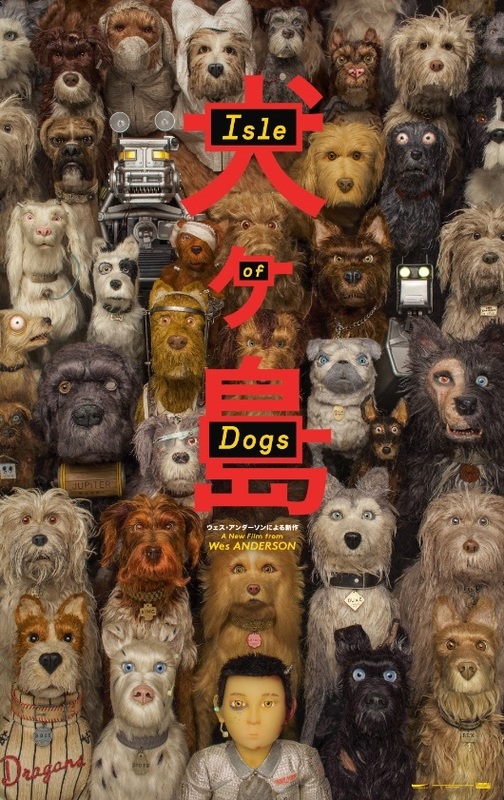 “Isle of Dogs” = “I love dogs,” get it? Even a three-word title of a Wes Anderson movie is a bit of a puzzle box. Anderson is the Joseph Cornell of filmmakers, with every item on screen and even those tucked away and not seen by the audience, every note on the soundtrack, meticulously assembled. It makes sense that this film is set in a fictional version of Japan because his movies are cinematic Bento boxes. Anderson’s most ardent fans love the understated drama and endless unpacking of detail and think there is a deeper meaning in the weirdness. I am less persuaded that there is always a deeper meaning, but I enjoy the singular peculiarity of his storytelling. Like my favorite Anderson movie, “Fantastic Mr. Fox,” “Isle of Dogs” is a story of talking animals told via stop-motion animation. This is a vastly more ambitious undertaking, based on an original story by Anderson with frequent collaborators Roman Coppola, Jason Schwartzman, and Kunichi Nomura, who appeared in Anderson’s “Grand Budapest Hotel” and also served as a casting director for this film and provided the voice for the movie’s bad guy. Anderson’s intricate vision makes for exceptional world-building, and in this film he imagines a Japan 20 years from now, when political and environmental decay has progressed significantly but is seen as normal by the population. Mayor Kobayashi (Nomura) is the mayor of the (fictional) coastal metropolis called Megasaki City. He persuades the population that dogs are a pestilential force, bringing disease (“snout fever” and “dog flu”) to the city, and decrees that all dogs, even the beloved guard dog of his adopted son Atari (Koyu Rankin), must be deported to a nearby “island” made up of trash. The starving, diseased, homesick dogs have a bleak existence on the island. And then Atari arrives, in an airplane, in search of his beloved Spots. And a teenage American exchange student (Greta Gerwig) starts to investigate, with one of those old-school evidence walls covered with clues linked together by red yarn. 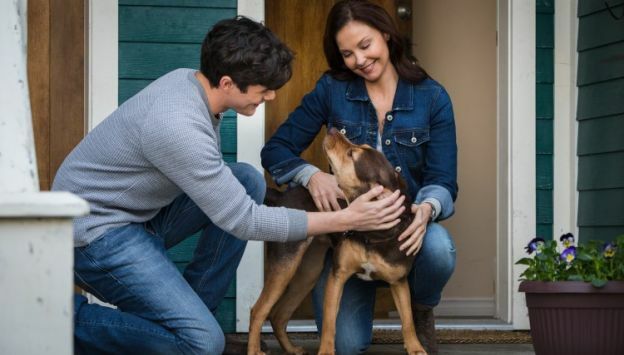 Anderson’s worst and most tone-deaf choice here is to make the one white, American human character the only one with any integrity and ability to resolve the crimes against the dogs and community. As in all Anderson films, the human characters deliver their lines in deadpan even while experiencing cataclysmic loss, urgent action, or ardent emotion. What some audiences experience as whimsical, charming, and witty, others see as cloying, twee, or claustrophobic. But he is a marvel at world-building and here, as in “Fantastic Mr. Fox,” where the entire film is essentially a set of dollhouses over which he has complete control, he is at his best. 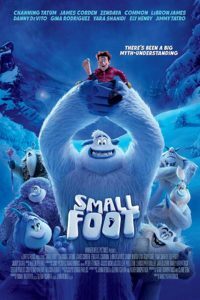 The settings in this film are an astonishing achievement of imagination and skill, from the tears welling up in the eyes of a dog to the intricacy of the machinery. If he ever devotes as much attention to the humanity of his characters as he does to the brilliance of his props, he will no longer be admired primarily for his singular aesthetic vision but for his characters and stories. 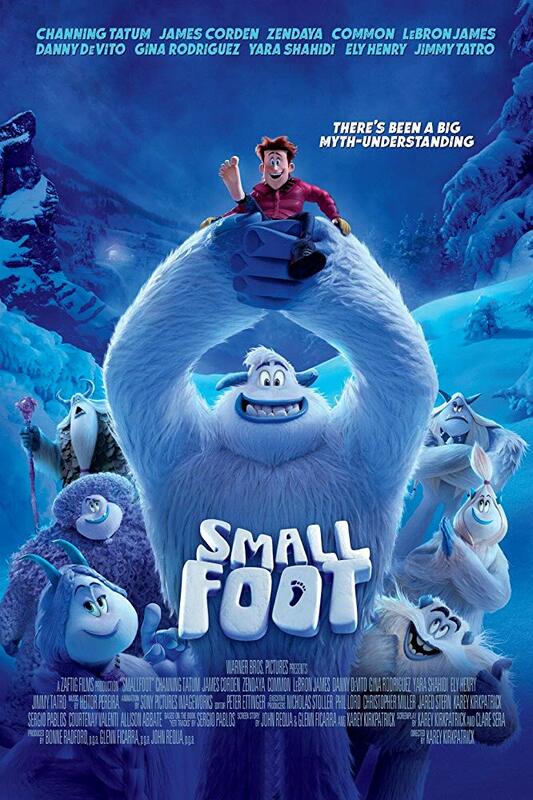 Parents should know that this film includes diseased and starving animals, children and adults in peril, murder, death of parents, child injured badly, dog fights with animals injured and killed, skeletons, some disturbing images including surgery, brief strong language, and references to dogs mating. 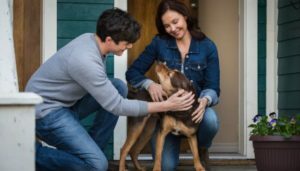 Family discussion: Why were the dogs banned? Why was it important for them to vote on big decisions? Sometimes a little part of a big story helps us see the big story more clearly. 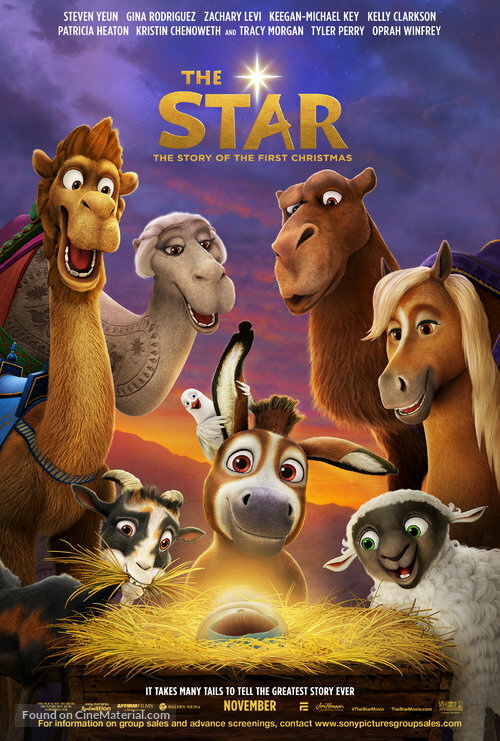 And so in “The Star,” we get to witness the Nativity through the eyes of a little donkey named Bo (Steven Yeun), and the friends he meets along the way as he helps Mary (Gina Rodriguez) and Joseph (Zachary Levi) on the way to Bethlehem. Bo is stuck going around in circles in Nazareth — literally — yoked to a miller’s grinding wheel, his only view the rear end of the old-timer donkey in front of him (Kris Kristofferson). Through the window of the mill he glimpses the big world outside, and he dreams of doing something important, with a lot of pomp and splendor, and wants to escape so he can join the caravan of the king. Bo finally does escape, with some help from his best friend, a dove named Dave (Keegan-Michael Key). He hides out with the newlywed Mary, who welcomes him kindly and treats his injured leg, and then he ends up going with Mary and Joseph to Bethlehem. Meanwhile, shepherds are watching the star, King Herod (Christopher Plummer) is sending a formidable soldier with two attack dogs (Ving Rhames and Gabriel Iglesias) to find the baby and make sure nobody threatens his right to the throne. First-time feature director Timothy Reckart brings a background in stop-motion animation to give the look of this film exceptional depth and texture. The action and chase scenes as Bo tries to keep away first from the miller and later from Herod’s soldier show an astute appreciation for physical space and a real gift for making the most of it. 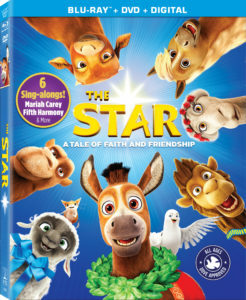 The movie’s visual panache is enhanced by delightful voice talent from a widely diverse cast, including the camels of the three kings, voiced by Tyler Perry, Tracey Morgan, and Oprah Winfrey, Kristin Chenoweth as an excitable rodent, and “Saturday Night Live’s” Aidy Bryant as Ruth, a warm-hearted sheep who strays from her flock to follow the star. The stand-out is Key, whose high spirits show us that Dave the dove can be funny but most of all, he is a true friend. Reckart also handles the tone very well, shifting seamlessly from gentle comedy to PG-friendly action without ever being disrespectful of or neglecting the movie’s main themes. The focus may be on Bo, but it is his experiences with Mary and Joseph that transform him. Parents should know that this movie includes some peril and violence, brief potty humor, and reference to the virgin birth and pregnancy. Family discussion: What did Bo learn about being important? Why didn’t Ruth stay with the flock?